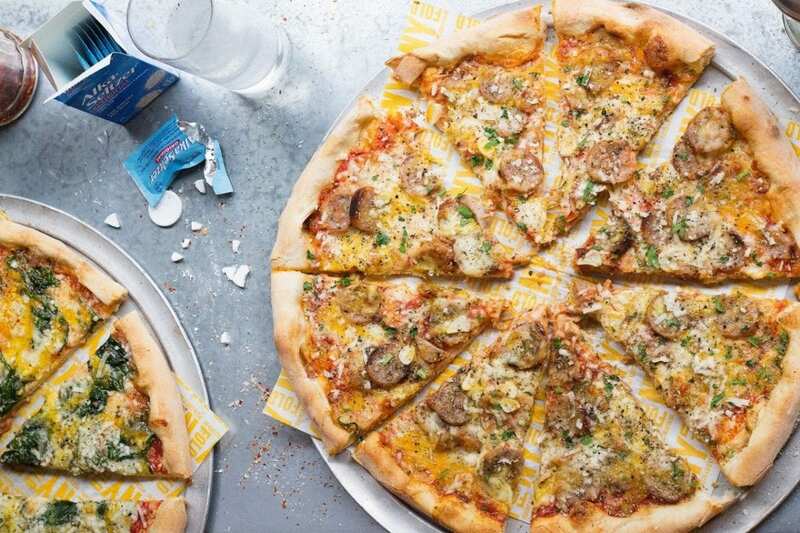 New York-influenced pizzeria NY Fold has created a hangover pizza in time for the festive season. Tge limited edition pizza has been specially designed for pre and post partying for those in need of rejuvenation and replenishment, with Alka Seltzer also available free of charge upon request. Based on Charing Cross Road NY Fold is a family-run pizzeria owned by Annabel and Michael Wheeler who wanted to incorporate their love of NY-style pizza so familiar to them from their hometown of New York. They believe that great pizza is all about using quality ingredients and lots of them. Each ingredient is individually selected and then placed on a hand-tossed New York style base that has been proofed for 48h resulting in a light and crispy texture that makes for easy digestion. It is then cooked in gas ovens rather than with coal or wood. This makes the base pliable enough to be folded in half, making it an immediate and portable dish, encapsulating the essence of New York style pizza.